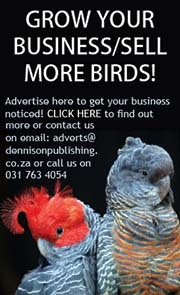 To place an advert in Bird Shop email adverts@dennisonpublishing.co.za or fax 086 537 7388. 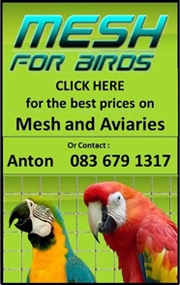 Advertising in Bird Shop is FREE for all keepers and breeders of pet and aviary birds in South Africa. Simply e-mail your advert to us. 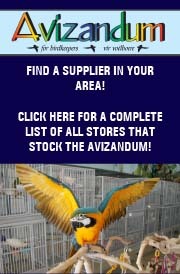 The advert will be printed in the next issue of Avizandum and it will be placed on our website within 48 hours – all for FREE! Please include an “advertisement title” for your advert. For example: “Breeding Ringnecks” or “Adult Pairs”. Please also include your name and town where (or near which) you live and the prices of your birds. Please e-mail, fax or phone us once you have sold your birds. The adverts will be deleted on the last day of every month. They give their surname, the place where they live, and phone numbers. They give prices for their birds. They do not advertise birds they do not have. They try very hard to remember to let us know once birds have been sold, so that their advert does not cause unnecessary phoning! 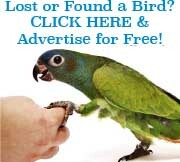 It will be very easy and particularly important to remove adverts off our site once your birds have been sold. We request all advertisers to continue to uphold this policy. Please note that any ads which are reported as fraudulent will be removed immediately. Avizandum reserves the right to abstain from placing any ad which does not appear legitimate. If you are interested in advertising please contact us at adverts@dennisonpublishing.co.za, or fax your advert to 086 537 7388.